It looks like the Hollywood Studios MagicBand On Demand station is joining in with the Disney Springs and Magic Kingdom On Demand stations in releasing new graphic designs! 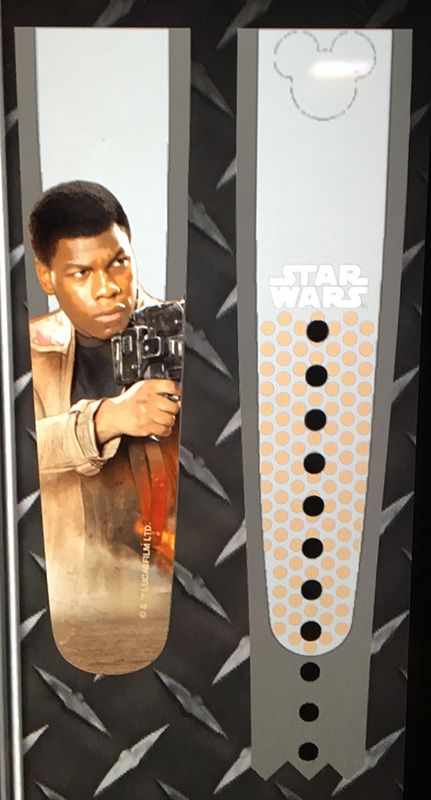 Three new designs for Star Wars: The Force Awakens are now available, which include live-action portraits of Rey, Finn, and Poe Dameron. These are the first bands to ever feature an actual person rather than animation. It looks like these designs may have been released on the same day as new D-Tech mobile phone cases, around April 15th, 2016 or so. 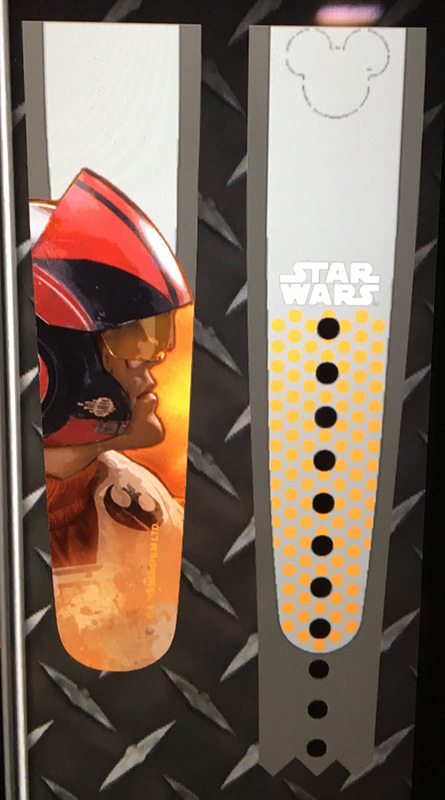 New designs were released to commemorate the runDisney Star Wars events that have been happening this weekend, so new MagicBands probably got released in that update as well. 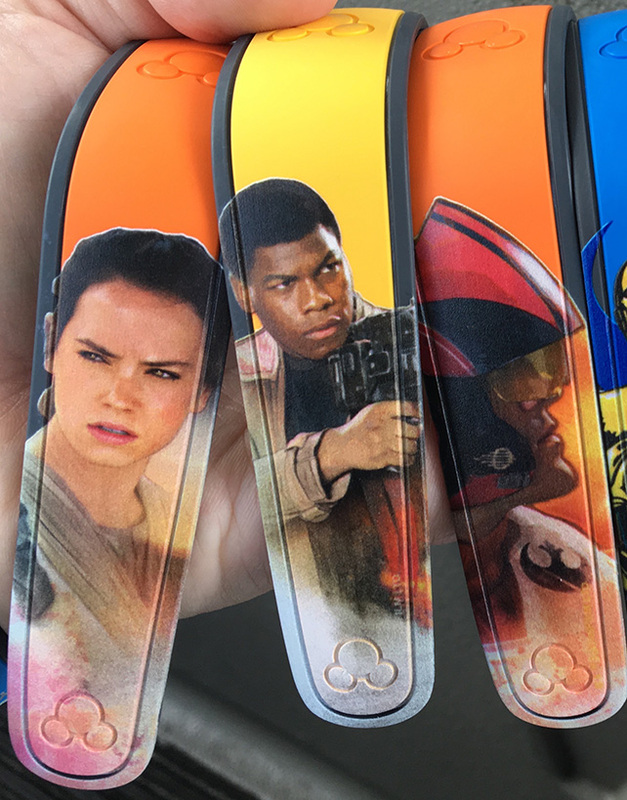 5 Responses to "New MagicBand On Demand designs, including Rey, Finn, and Poe from Star Wars"
Opinion here, but at first glance of the zoomed in actual band picture, I thought she looked a fair bit like the young pod racing Anakin Skywalker. Well, that’s who I thought of anyway. Maybe it is the prominent but not protruding cheeks with proportionally smaller nose, the straight eyebrows, and the pose of the face straight at us but eye looking off to their right. VH I’d say the pose/glance is the same as young Anakin. 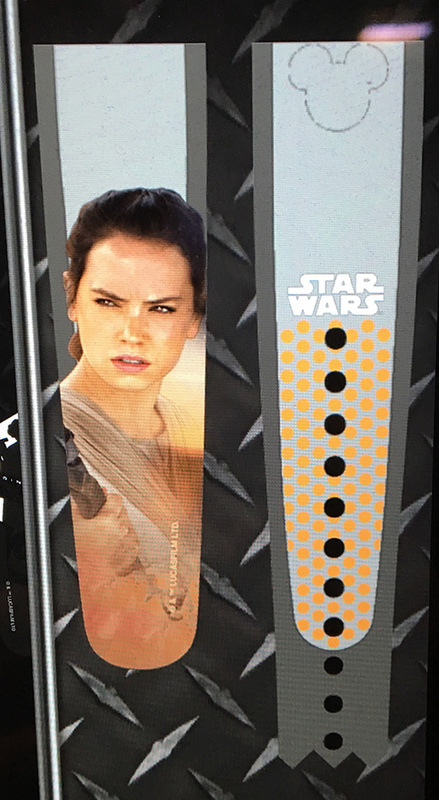 I love Star Wars but I don’t need these.